No, you can't watch Planet Earth II in 4K Ultra HD (yet) | What Hi-Fi? The landmark BBC series is back for a second series, with Planet Earth II the first BBC series to be shot in Ultra HD. Sadly, we can't watch it in 4K. The first series of Planet Earth debuted on the BBC in 2006 and set the standard for nature documentaries. At the time, it was the most expensive show ever commissioned by the BBC and also the first series to be shot in HD. No wonder the picture and sound quality blew everyone away. Ten years on, the series has returned, with Planet Earth II debuting on BBC One on the evening of Sunday 6th November. Fittingly, it's the first BBC show to be shot entirely in Ultra HD (and HDR). 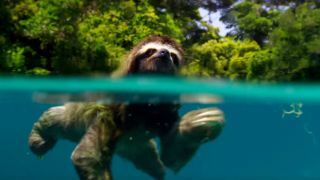 But while Ultra HD has arrived as the foremost television standard, it isn't yet possible to watch Planet Earth II in 4K as the BBC has no means of showing 4K programmes. And that has left a lot of people searching online for a 4K broadcast of Planet Earth II. Early-adopters have become used to streaming 4K content on Amazon Prime and Netflix, or buying Ultra HD Blu-ray discs. But the BBC has yet to launch a 4K broadcast option. So even if you have a new 4K TV, you'll have to make do with enjoying the new series of Planet Earth in HD. But fear not, a solution may be on the way, in the shape of a new 4K iPlayer. A BBC 4K TV channel looks unlikely any time soon due to technological challenges, so the BBC has now said it expects to stream its first Ultra HD programmes via the iPlayer service. This follows tests of 4K HDR broadcasts by the BBC and LG this summer. But a launch date for the BBC's Ultra HD content is a mystery for now. The corporation has remained tight-lipped so it seems unlikely a 4K-capable iPlayer will be released before 2017 - even if launching in time for Christmas would make sense. What about a Planet Earth II Ultra HD Blu-ray? The DVD and Blu-ray releases are available for pre-order and set for release on 5th December - but there's no sign of a 4K disc version. So for now, we won't be able to feast our eyes on the full Ultra HD Planet Earth II experience. Lucky it looks so good in HD, then.